Altitude London is a renowned market leader in ultra-modern, exceptional experiences and service for events. It is situated on the 29th Floor of the Millbank Tower, right alongside some of London’s most famous landmarks. The spectacular views and even better service will provide for the most memorable event. Sunday brunch is also a treat worth experiencing. The London Sky Bar is a private members' bar in the tower which offers a great cocktails as well as great views. 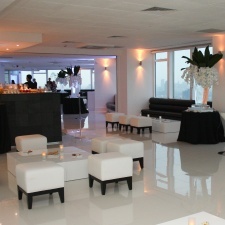 Altitude 360 is the ideal setting for any private event. With 7,000 sq ft of blank canvas event space and stunning panoramic views, Altitude 360 is a breathtaking venue that can be shaped for your ideal wedding, reception, bar mitzvah or any other celebrations. 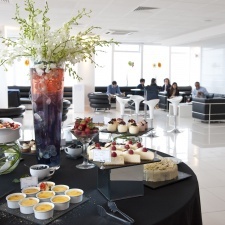 Catering at Altitude 360 is provided by the highly acclaimed and Michelin trained Salt and Pepper Private Food Design. 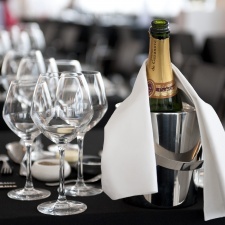 With extensive drinks packages they can cater for the most astute palate and even offer highly skilled mixologists.